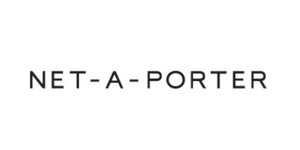 The NET-A-PORTER Group Limited is the world&apos;s premier online luxury fashion retailer. Their award-winning website, presented in the style of a fashion magazine, offers the style-savvy customer exactly what she wants - unprecedented access to the hottest looks of the season from international cutting-edge labels via worldwide express delivery. Since launching in June 2000, NET-A-PORTER has successfully established itself as a luxury brand, with impeccable packaging and unrivalled customer care.